The Principal Consultant will develop, plan, lead and manage complex projects from start to finish. Be a technical expert in functional area. Will work independently and produce results within budget and timeframe. Provides comprehensive safety consulting services to clients. Interacts with internal and external organizations to review and interpret regulatory requirements and develop prudent policies to meet all requirements. Facilitates implementation of plans, programs, processes and services, in partnership with impacted functional organizations. Leads multi-organizational meetings and report-outs. Participates in the development and communication of EHS recordkeeping policies and regulations. Conducts internal reviews of EHS records and data management practices to ensure compliance. Approves and develops new recordkeeping management capabilities. Works closely with the overall client relationship manager to ensure projects are completed on time and within budget. In collaboration with overall client relationship managers, coordinates and executes the implementation of multiple and/or complex client projects within set organizational procedures and standards. Leads and directs the work of others as needed. In close routine collaboration with the external customer, designs, implements and executes an agreed-to service plan. Expert level knowledge with a variety of the field's concepts, practices, and procedures. Implements and maintains company policies adhering to local, state and federal environmental, health and safety regulations. Involved in the design and development of facilities, work areas and work procedures and makes environmental, health and safety recommendations accordingly. Identifies staff development and training needs and assist with training programs. Ensures compliance with all environmental, health and safety regulations, and keeps abreast of any changes to laws and regulations that impact the organization. Solid report and proposal writing skills. Can effectively peer review reports. Has written non-report work/articles for professional journals. Ability to write SOPs. Has prepared and given presentations to staff and clients. Has given 7+ presentations at professional conferences. Can successfully plan and execute complex technical assignments independently. Is confident and competent in planning and managing projects. Can perform well and with ease in pressure situations. Routinely works independently performing complex technical work and exhibit professionalism in all situations. Ability to scope and generate proposals for medium to large proposals. Participates in and/or leads and presents regularly at professional society mtngs and on technical committees. Well known nationally for field of expertise. Brings in new business and develops existing clientele. A great deal of creativity and self-starter initiative is required. Maintain an understanding of the scope of service offered nationally by BVNA. If you are an individual with a disability and you would like us to assist you with searching the Careers Page site for employment opportunities and/or assistance with completing your profile and application, please contact us at 1-888-357-7020. 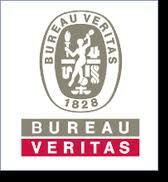 We are happy to assist you and encourage you to consider Bureau Veritas for your next great career opportunity!